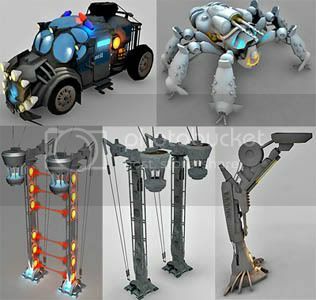 Contains 3d model of Dystopia Core, Furnace, Laser Fence, Support Column, Vehicle and Spider Tank. Models are lowpoly with good resolution textures. both links for this dl 404…just so you know.